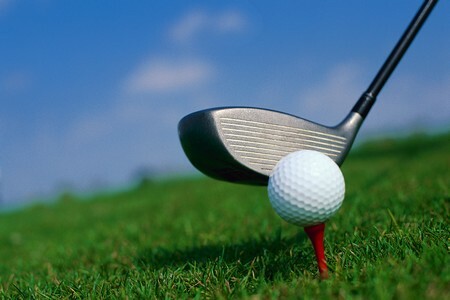 Term “golf” traces its origin in the recorded accounts such as Scottish Statute, written in 1457, on forbidden games as gouf, most probably derived from the Scottish word ‘goulf’, spelled differently, with the same meaning ‘to hit or cuff’. The recorded history does not give any true depiction of the origination of the game of golf. One of the most widely acknowledged theories states that this form of sport might have proper appeared in Scotland probably in the High Middle Ages. A game resembling to golf is believed to have taken place on 26 February 1297, in Loenen aan de Vecht, the Netherlands, where the Dutch had played a game with the help of a stick and leather ball. The winner would be the one hitting the ball with the least number of strokes deep into a target at hundreds of yards. A few researchers contend that the sport of escorting a small ball in a hole excavated in the ground with the help of ‘golf clubs’ had also been played during the 17th-century Netherlands; this, however, had been a forerunner of the game in Scotland. In a number of other occasions quite earlier, a golf-like game emerged from continental Europe. It is said that Stick and ball games had been developing for many centuries, nevertheless, golf we play today, was being played over 18 holes, no doubt had appeared in Scotland. The modern game of golf, as played today, however, is usually believed to be a Scottish invention, as the game has been alluded to in two 15th-century Acts of the Scottish Parliament, barring ‘gowf’ playing because the time it consumed was capitalizing on archery practice considered then compulsory for national defense. Some scholars still maintain that the Acts might refer to some other game much likely to shinty or hurling, or to present day field hockey than the golf as we know it today. The word ‘golf’ may be a Scottish adaptation of Dutch “kolf” that meant “stick, “club” and “bat”. All these forerunners could more vividly be viewed as the true ancestors of the present form of golf. Modern golf evolved in Scotland — the first proper golf course began to hold in Scotland with memberships in the earlier pioneering Scottish golf clubs. The first recorded set of rules was also composed during that period there, as was the commissioning of the 18-hole course. The first formal tournament structure was worked out and matches were settled between different Scottish cities quite before the modern game of golf could spread from Scotland to England and from there to the rest of the world. The Old Links at Musselburgh Racecourse remains the oldest playing golf course in the world. Evidence has revealed that golf was also played on Musselburgh Links in 1672, as Mary, Queen of Scots is reputed to have played there in 1567.